The beautiful white sands and turquoise ocean of Grace Bay Beach. The spectacular Grace Bay, Leeward and Bight beaches are found is the amazing protected area. Princess Alexandra National Park is a 6532 acres (2643 hectares) coastal and marine national park off the north coast of Providenciales. Included in this protected area is Grace Bay Beach, The Bight Beach, The Bight Reef (Coral Gardens), Leeward Beach, Smith's Reef, and a large portion of the northern barrier reef of Providenciales. Also inside is the Princess Alexandra Nature Reserve, which consists of the iguana sanctuary of Little Water Cay (Iguana Island), the wetlands islands of Mangrove Cay and Donna Cay, and the rocks of Lizard Cay, Bird Cay, and the Sinking Cays. 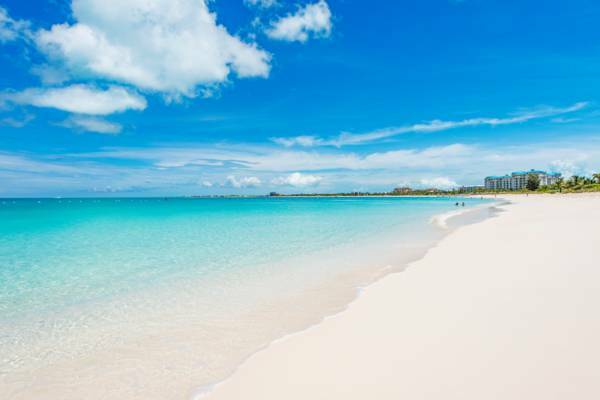 Declared a national park in 1992, the Princess Alexandra National Park is highly important to tourism and most of the resorts on Providenciales are on the beaches in this region. Much of the watersport use around Providenciales also occurs here. Most of the resorts on Providenciales can be found in the Grace Bay area on the edge of the national park. Many of the busy dive sites around Providenciales are located on the northern barrier reef in the national park due to the ease of access from the resorts and Turtle Cove. The national park has had several influences over the last twenty years. Power vessel use, drudging in the eastern end of the national park and a failed Dubai-style artificial island development near Mangrove Cay have at different times churned up sediment, damaging coral in the area. The conch population in the park has also significantly declined over the years. In the mid-90s, it was common to see large mature conchs out in the sea grass in the Bight and Turtle Cove areas, but today they are virtually non-existent due to poaching. The population of invasive Lionfish has also increased. These fish are an invasive predatory species from the Indo-Pacific and are quite damaging to the fish and reefs in the Atlantic and Caribbean. The fish are predators and although only reaching a mature length of about 14 inches, they consume an incredible amount of the smaller reef fish. 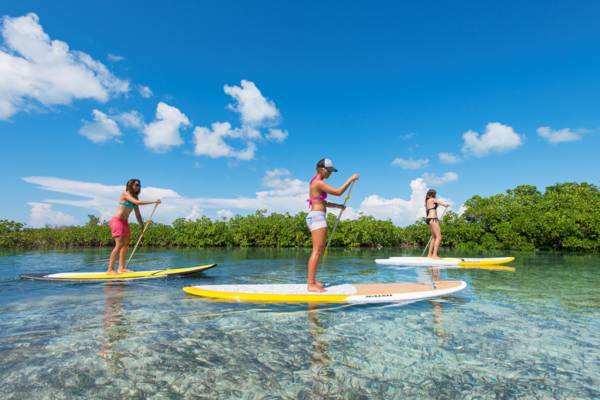 Stand up paddle boarding at Mangrove Cay in the Princess Alexandra Nature Reserve. The greatest danger to swimmers and snorkelers in the area from is reckless powerboat use. A few Incidents have happened where swimmers and snorkelers have been stuck by vessels and over the years, at least two people have been killed in this way. Most of this behavior is by small vessels offering banana boat and wake rides and recent changes in the law require that such boats have a dedicated spotter. However, this is often not followed and it’s important to be aware of them. A 15mph speed limit for power vessels is applicable in the National Park. Many boat operators flagrantly ignore this rule. It is illegal to take any natural item or historical artifact from this National Park. This includes seashells, animals, plants and flowers, and coral. Fishing and the collecting of conch and lobster is illegal and punishable by fines and/or imprisonment. As anywhere in the Turks and Caicos, littering and vandalism is against the law and punishable by fines and/or imprisonment. Open fires and loud music are not permitted in the national park. Last reviewed by an editor on 6 October 2015.